The Mixed Marvel Arts Podcast pushes the limit of iTunes’ “Explicit” tag, similar to how Deadpool pushed the boundaries of the Motion Picture Association of America’s film-rating system. Fair warning: this episode features a questionable amount of analingus jokes, but blame the hypersexual exploits of Deadpool. 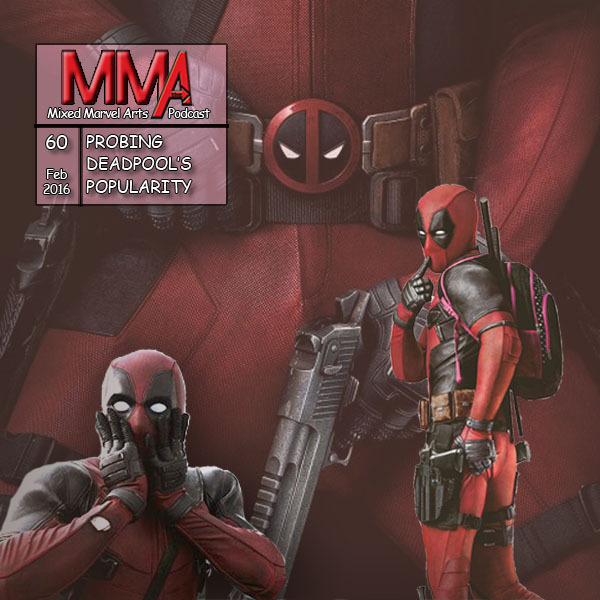 Nate returns to the MMA Podcast as the crew reviews Ryan Reynold’s redemptive take on the Merc with a Mouth. Brian and Shaun also comment on Avengers Academy, Marvel’s most recent mobile, freemium game. Episode artwork: 20th Century Fox Deadpool marketing material.